Marshall Islands government creates the world's largest shark sanctuary. The protected area encompasses nearly two million sq km of ocean. Following an initiative taken by Palau, the Pacific republic of the Marshall Islands will ban trade in shark products and commercial shark fishing throughout its waters. Under the bill, commercial shark fishing and any trade in shark products will be banned. In addition, certain designs of fishing gear will be banned from Marshallese waters and any accidentally caught sharks must be released alive. Violators of these stringent measures will face fines of up to £200,000. The Marshallese government has worked on the plan with advisors from the Pew Environment Group, a US-based organization that has identified archipelago nations as providing big marine conservation "wins" due to the vast scale of their territorial waters. "In passing this [shark protection] bill, there is no greater statement we can make about the importance of sharks to our culture, environment and economy," said Senator Tony deBrum, who co-sponsored the bill through the Marshallese parliament. "Ours may be a small island nation, but our waters are now the biggest place sharks are protected.” he added. To put the sanctuary in context, it covers roughly the same area as Indonesia, Mexico or Saudi Arabia, and is about eight times bigger than the UK. Tourism, including diving, is a staple of the Marshall Islands archipelago, which is home to just 68,000 people. The move will extend the area of ocean in which sharks are protected from about 2.7 million sq km to 4.6 million sq km. Due to their slow growth and reproductive rates, sharks are especially vulnerable to factors such as accidental or targeted fishing. Protection measures are also likely to help marine biodiversity overall, as they restrict the rights of fishing vessels and require greater scrutiny of landings. 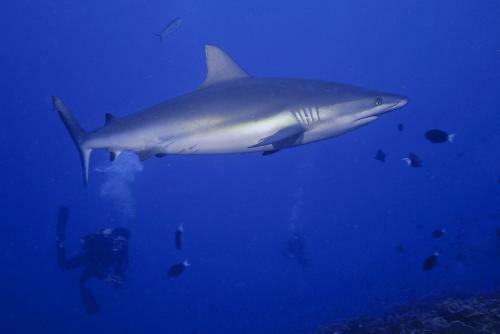 A group of eight countries including Mexico, Honduras, the Maldives and Northern Mariana Islands recently signed a declaration announcing a push for more shark protection across the world. Sharks are seriously threatened by issues such as habitat loss and fishing, with approximately one-third of ocean-going species residing on the internationally recognized Red List of Threatened Species.